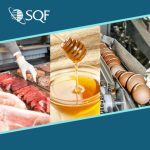 The Implementing SQF Systems examination is used to demonstrate knowledge of the SQF Food Safety Codes. 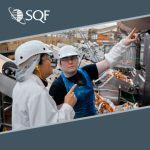 There are two versions of the Implementing SQF System examination available: Primary Production and Manufacturing. The Primary Production examination addresses topics relevant to those sites that grow or farm product such as food sector categories 1 through 6. The Manufacturing examination addresses topics relevant to those sites that pre-process or process product including food sector categories 7 -22, 31 through 35. If the examinee is unsure of their food sector category, if their needs span both pre-farm and post-farm categories, or for those food sector categories otherwise not represented (e.g., 26, 27, 31 -34) then the examinee should choose the post-farm gate examination. Either examination is acceptable to meet the criteria required of an SQF professional where the Implementing SQF Systems exam is required. The $75.00USD online examination is composed of 60 questions and has a time limit of 60-minutes to complete. Individuals will be allowed a total of three attempts to successfully complete the examination. The examination must be completed within 14 days of beginning the examination. A certificate of completion and participation can be printed after successful completion of the examination. 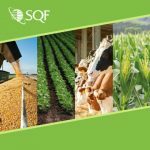 Food industry professionals seeking registration as SQF food safety certification auditors must complete the Auditing SQF Food Safety Systems examination. The $50.00USD online examination is composed of 60 questions and has a time limit of 60-minutes to complete. Individuals will be allowed a total of three attempts to successfully complete the examination. The examination must be completed within 14 days of beginning the examination. A certificate of attainment can be printed after successful completion of the examination. 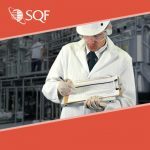 Food industry professionals seeking registration as SQF quality certification auditors must complete the Auditing SQF Quality Systems examination. Been through at least one successful (“C-complies” rating or higher) SQF certification/ recertification process as the designated SQF practitioner. The Advanced SQF Practitioner examination addresses the following topic areas: developing SMART food safety and quality objectives to identify and prioritize areas of improvement; Using available food safety and quality data to analyze and identify areas for program improvement; conducting and managing internal audits and verify the effectiveness of the preventive actions implemented; understanding the Corrective and Preventive Action (CAPA) process; Conducting a root cause analysis (RCA); and building a continuous improvement program. Have questions about SQF Exams?